The mission of Highland Park Church is to reach people with the Gospel of Jesus Christ, to connect believers to one another and to God, and to deepen them in their Christian walk. 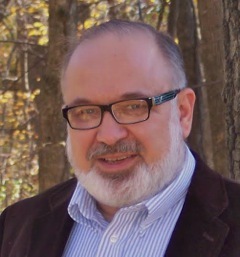 Last Sunday of each month: Dr. Peter Roussakis will share the story of a composer or hymn and accompany the congregation in singing that hymn or one by the composer. Peter has a doctorate in music, with piano his instrument of specialty. Hold everything! This is not your ordinary church website. Although we admit part of why we are on the web is to market our church, this site is primarily dedicated to minister to many people at various levels of spiritual maturity. We do this through a growing collection of home-grown articles and Biblical and Doctrinal study materials with an emphasis upon the Jewish roots of our Christian beliefs. We feature a prayer page with hundreds of prayers written for evangelical believers, a link to hundreds of our sermons, and a link to hundreds of my personal book reviews. Our doctrinally solid materials will stimulate your thinking, help get your prayer life jump-started, educate you in Biblical teaching, show you the way of salvation, teach you about rearing your children, or perhaps challenge you to rethink some common misconceptions. Whether you are a seeker, a new believer, or a seasoned leader, we have something to offer you. We are out to serve the greater body of Christ. If you have questions, suggestions, or words of encouragement, please feel free to e-mail me at church@highlandpc.com. Enough already. Get that mouse in hand and start clicking away.